With the Transformer Pad TF300T, ASUS has another successor for their Tranformer series. This tablet ships with an NVIDIA Tegra 3 SoC which offers not only a lot of performance but also excels when it comes to power consumption. Furhtermore there is the Transformer's party piece which is the additional dock that features an integrated keyboard as well as an additional battery pack. Everything put together it seems like a compelling offer. 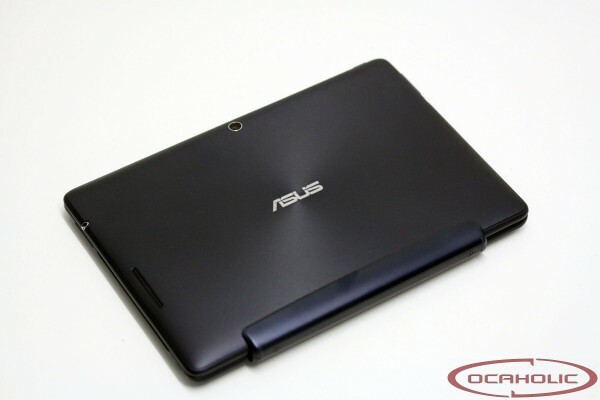 The ASUS Transformer Pad TF300T is available in different colors or with or without 3G module. Most manufacturers also diversify their models by equipping them with more or less internal storage. In case of the TF300T you get 32 Gigabyte with every device. Furthermore you can decide wether you want your Transformer TF300T with or without a dock. The dock offers you a keyboard as well as an additional battery pack. The Transformer Pad TF300T with dock will set you back 529 Swiss Francs (est. 441 Euros). Without the dock you'll have to pay 429 Swiss Francs (est. 358 Euros).